Gary is just an average Joe. He could be your coworker: competent, nice and dependable, but maybe a bit too quiet. He could be your neighbour: always takes out his trash on the correct days, nods at you politely when you cross paths, but does not engage in conversation. He could also be your boyfriend. But he’d have to hit on you first. And that rarely goes well for him. 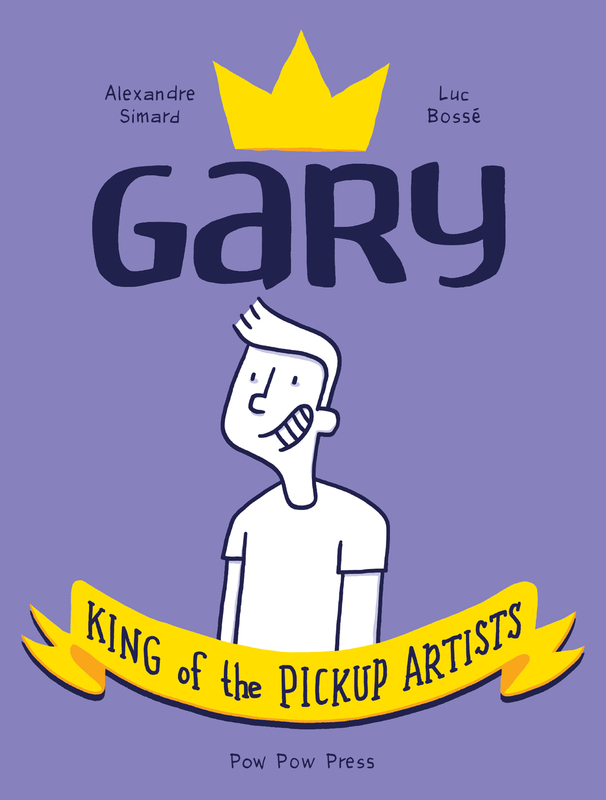 Published in French under the title Yves, le roi de la cruise, Gary, King of the Pickup Artists helped launch Éditions Pow Pow in 2010, along with Zviane’s Going Under. It won the 2010 Expozine Award for “Best Comic”. English readers can now understand more than the two pages that were in English in the original version. These have been translated to French, though, so there may still be a problem.